Happy Wednesday! Ready for a fun challenge? Die-cuts are a quick and easy way to create something awesome, so my challenge for you is to use a die-cut on your creation! You can make your own using one of the many die-cut systems available or you can use a pre-made one! 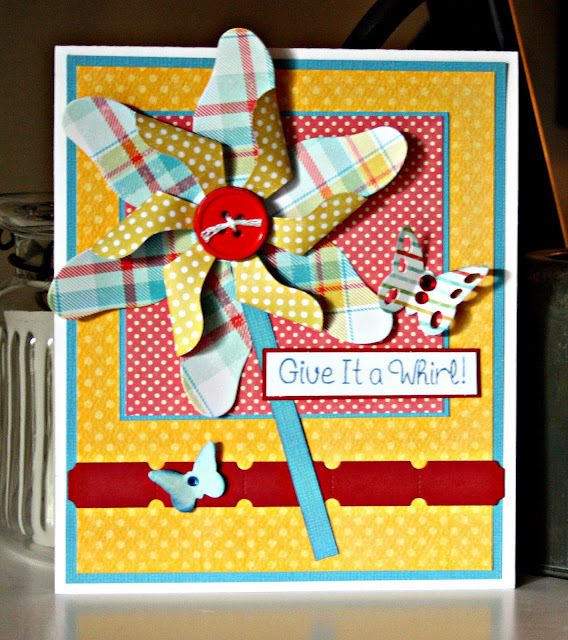 For my card I used my Cuttlebug and three different die-cuts from Die-namics: butterflies, ticket strip and the pinwheel! Sweet card and fun challenge Joanne! Thank you for a fun challenge, the die cuts can be very handy sometimes. Wonderful inspirational card! love it!! thank you for all the wonderful challenges! Love them!!!! Loved this challenge.... can you believe it is 97? Great Challenge and I love the card!! Thanks for an awesome challenge...I love die cuts. GREAT projects to the DT...thanks for sharing as usual! Love this site! Challenge #98 - Use Twine!